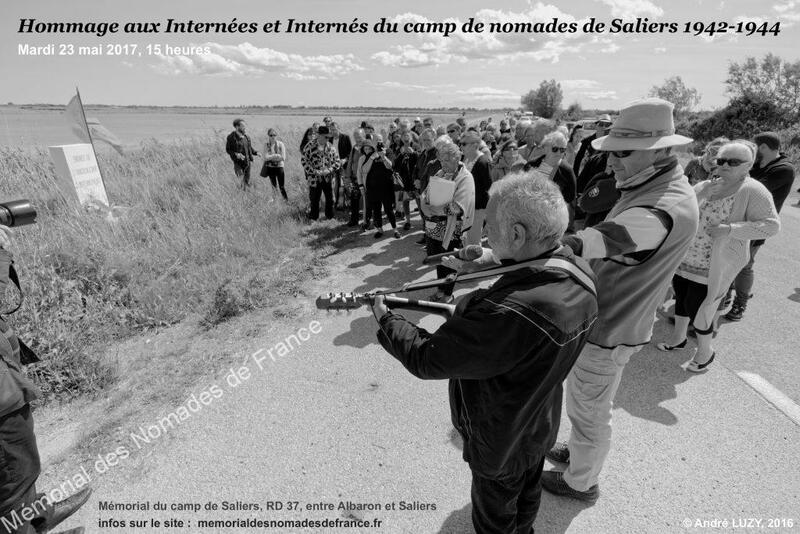 Comes from the Association “Filles et Fils d’interné(e)s du camp de Saliers.” The French Nomads Memorial works for a full recognition by France of its responsibility regarding the internment and the deportation of French nomads between 1912 and 1969. We are looking for and collect testimonials from survivors. We will have soon a Resource center. We propose our intervention at schools. And also the French ceremony of the European Roma Genocide each year on the 2nd of August at 6.00pm under the Arc the Triumph, Paris. We can on demand perform genealogical research for nomads’ families. 24, rue Théophile Décanis, 13006 Marseille. (Français) Rétrospective KABILA. 02->28 avril 2019. Arles.